Corning’s Gorilla Glass, the same one used on smartphones like the iPhone is making a leap to the automotive world as the Ford GT will get the tough, durable, and scratch-resistant material for its windshield and rear engine cover. What’s more, it’s 32 percent lighter than the traditional laminated glass. When tasked with developing lightweight and advanced material vehicle applications, the Ford team approached Corning. Interested in further exploring potential automotive applications, Ford engaged Corning to help research and develop a unique formulation for exterior vehicle glass. 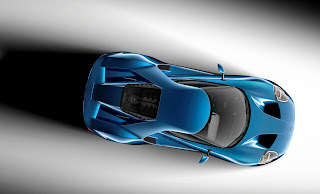 Once the technology was studied for Ford’s supercar concept, the team realized there were real-world applications for the new hybrid glass. A small, dedicated group comprised of purchasing and engineering employees from Ford and Corning fast-tracked the technology toward rapid introduction. Within four months, they were seeking program approval. A traditional automotive laminated windshield consists of two layers of annealed glass sandwiched around a clear, thermoplastic interlayer binding agent. Meanwhile, the new hybrid glass uses a multilayer approach – a pane of toughened automotive-grade formed hybrid acts as the strengthened inner layer, an advanced noise-absorbing thermoplastic interlayer is in the center, and an annealed glass serves as the outer layer. The result is a windshield and rear engine cover approximately 32 percent lighter than competitive vehicles. The new Gorilla Glass hybrid window laminate is approximately 25 percent to 50 percent thinner, and has equal to, or greater strength than traditional laminate. Traditional laminate glass ranges from four millimeters to six millimeters in thickness, where Gorilla Glass hybrid window ranges from three millimeters to four millimeters. This remarkable reduction in thickness greatly reduces the weight of each panel. Plus, the glass is more robust due to advanced processes for contaminant reduction, chemical strengthening, unique edge treatment and laminate construction. The new technology was tested over stone and in rough road conditions, and had to endure specific projectile, rollover and wind tunnel testing. Ford’s use of the new hybrid glass underscores the company’s aggressive goals for innovative engineering and light-weighting technologies that will one day benefit all Ford customers. I don't think the current iPhone uses Gorilla Glass anymore. The Samsung Galaxy S series and some Nokia/Microsoft phones are using it though.